After finished production, we all know that we the professional operator will remove the commercial concrete batching plant. Before the demolition of commercial concrete batching plant, operators should check whether all safety tools are normal. Clean the construction site and ensure there is enough space in the construction site. 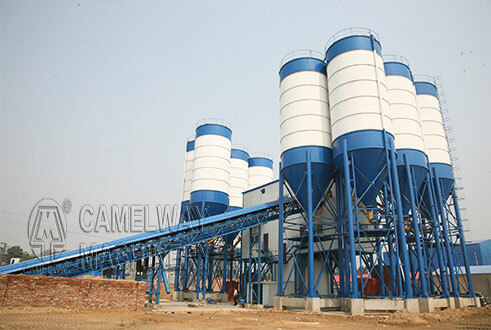 Zhengzhou CamelWay Machinery manufacture produces tower cranes, construction elevators, concrete mixing stations, JS concrete mixers, concrete batching machines, stabilized soil mixing stations, wheel loaders, concrete transport tanks, JZC concrete mixers and other construction machinery. The company has an extensive user base in the country, enjoying a high popularity. Some products are exported to Vietnam, Laos, Kazakhstan, Mongolia, Russia, Cuba, Brazil and other countries, being highly praised by foreign friends.For more information about any of our products, please feel free to contact us or at the contact addresses available on this website.